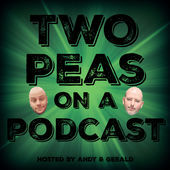 Find our featured ‘Pod Friend of the Week’ Dan & Kody Podcast on Twitter @DanKodyPodcast or on their website HERE. “In Da Club” by 50 Cent. 2002 Aftermath. All Rights Reserved. “If I Could Turn Back Time” by Cher. 1989 Geffen Records. All Rights Reserved.